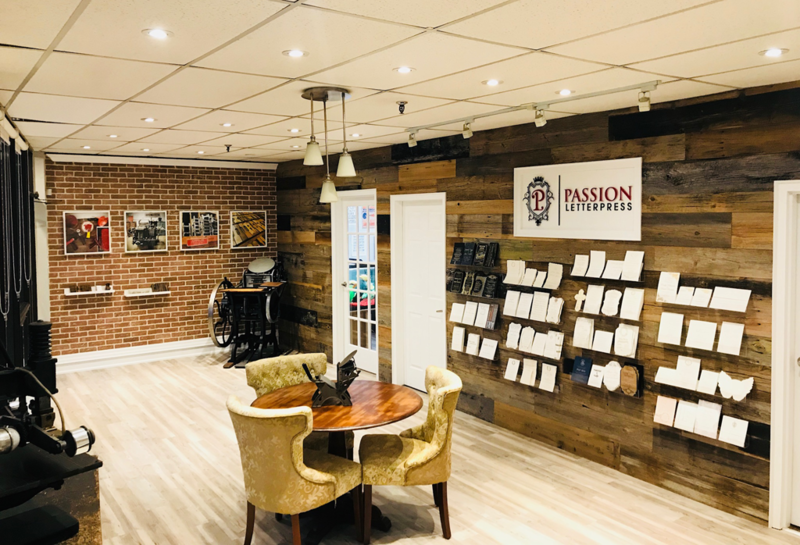 Passion Letterpress is a family owned and operated letterpress print studio in Oakville, Ontario. Inspired by old-fashioned values, ideas, and vintage design with lots of patience, we believe the best ideas start with the creative mind and not the computer screen. 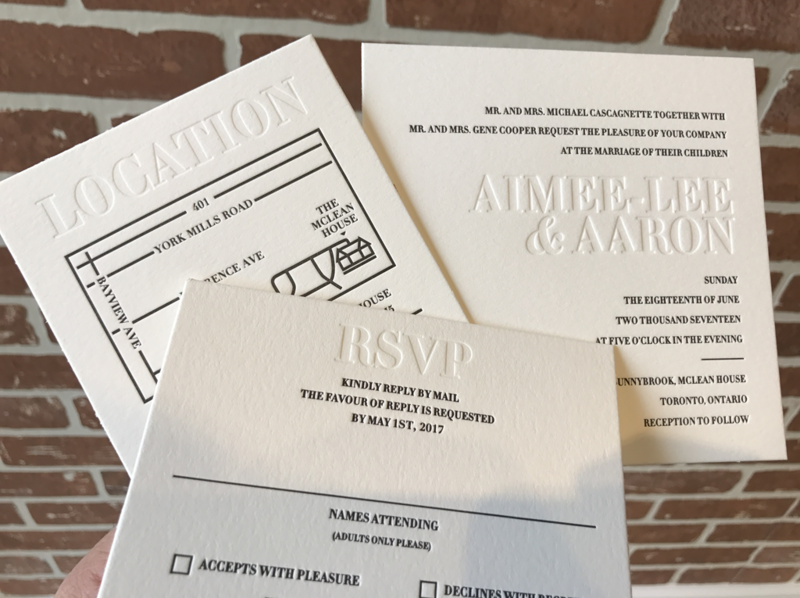 Through traditional letterpress methods, we custom create letterpress printing solutions to you, the discerning modern day client. Letterpress is the process by which images and text are impressed deep on the paper’s surface, providing both visual and physical elements to your finished product. High quality letterpress impressions cannot be reproduced by today’s offset and digital printing methods. We love the way letterpress and foil printing brings ideas into our lives and inspiration to your hearts. Set yourself apart with creative letterpress products. This is the passion we have for printing. Passion Letterpress uses recycled cotton paper that is 100% tree-free. Engineered for letterpress, cotton paper is soft and luxurious to the touch, yet strong and stable to evoke a high sense of quality. Most cotton papers are thick to allow for a deep impression for images and inks. This impression is what distinguishes letterpress printing from other printing methods. At Passion Letterpress, we create breath taking impressions that have both substance and heart. 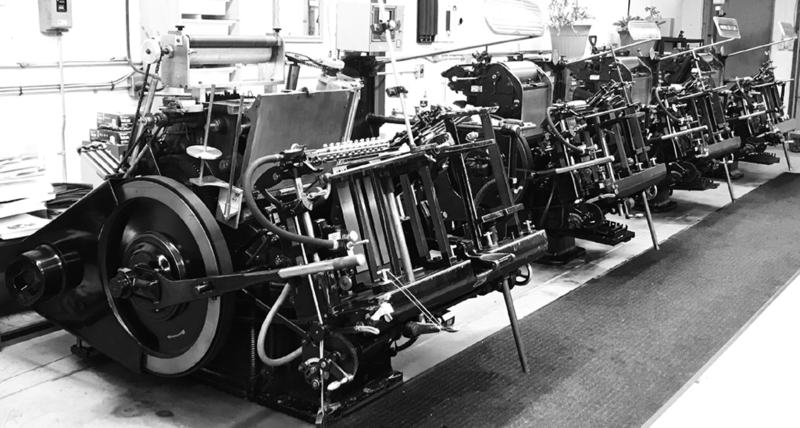 Our studio is packed with a wide range of vintage letterpress presses which produce the finest impression and artisan quality to every piece of work. Our oldest letterpress press is the Peerless Letterpress which was built in 1874. Our other eight letterpress presses are Heidelberg Windmills, with the newest one built in 1969. Our antique Heidelberg Windmill Letterpress presses have cast iron and oiled bearings and are used to produce a wide variety of stationary. The most reliable letterpress presses ever built, they are truly the backbone of Passion Letterpress. 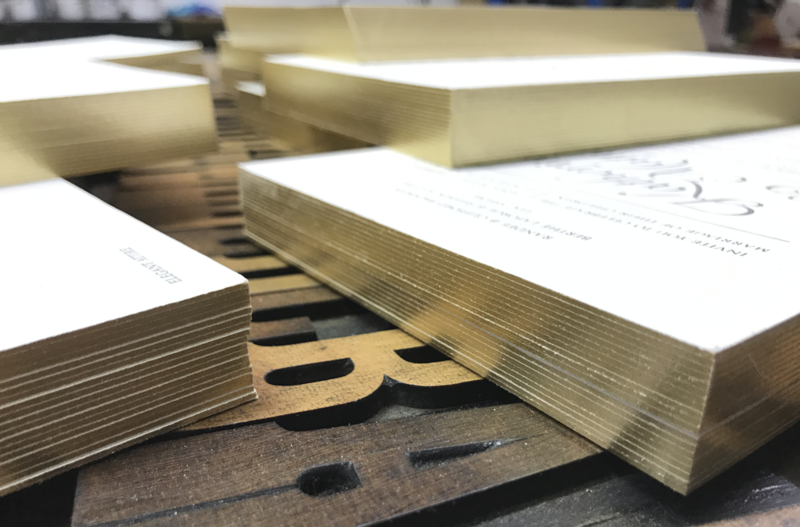 From foil stamping to large letterpress projects, our letterpress studio produces impeccable fine printing. We focus on every detail from design to printing and finishing. Everything we create is in-house which gives us complete control over the quality of each print. Our papers are carefully chosen for their colour, texture, weight and environmental qualities. The crisp lines and eloquent typography are all executed and overseen in-house. With our strict attention-to-detail philosophy, we print all stationary in small batches to ensure the highest quality. We are committed to reducing the footprint on the environment by using eco-friendly inks and paper made from 100% recovered cotton fibers. Our studio is commercially equipped to offer the finest design and letterpress services to a wide variety of clients. From foil stamping, to letterpress printing to that special cut shape, we print everything in-house, one sheet at a time and always one colour at a time. It is our passion, skill and a desire to provide our clients with quality and classic hand-made stationary.